. . . Without Balfour Parkway and after the work at the schools, [group member Judi] Levinson and the 191 Alliance say that 191’s problems can be solved by less impactful measures like widened shoulders, turn lanes and merge lanes. 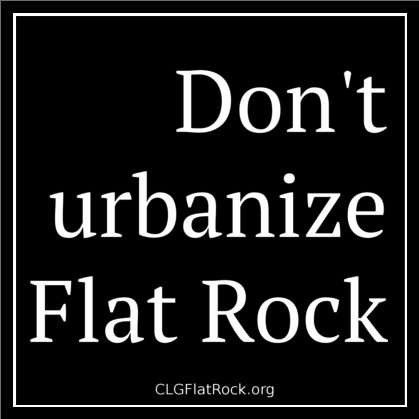 Enter your email address to follow CLG:Flat Rock and receive notifications of new posts by email. If you would like a car window sticker or yard sign, please email Darlene Miller. French Broad River MPO Board will not meet during the month of April.